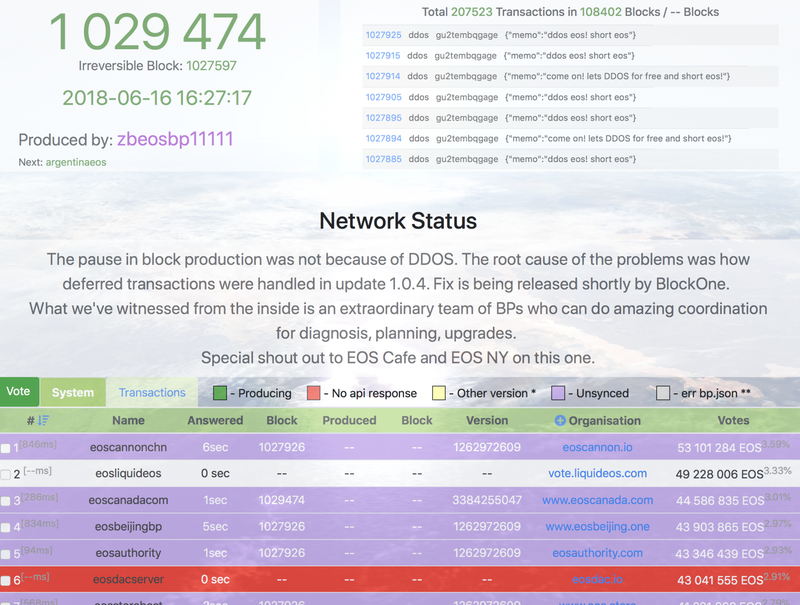 “AT 9:56 UTC the EOS Mainnet paused… At 10:57 UTC The choice was made that all Standby Block Producers would stop their nodes and backup any information that could helpful in diagnosing the problem. “Block explorer uses what node? Probably one of the ones who stopped. This is interesting. It’s sort of a fork. If some nodes are still producing, and the coalition of bps stoped and will restart at the block they selected, then basically we will have two chains running with the same ID. If new blocks are being produced then all are urged to not transact. Exchanges should stop deposits and withdrawals. There might be a fork. If transacting wait for a stupendously high number of confirmations. Better to not transact and to not accept transactions until the situation clears. 13:39 There might be a reorg, that is a reversal of history. Supernodes have stopped at block 1,027,927, but the chain has managed to get up to 1,028,053. That’s a difference of some 1,000 blocks. How exactly they will address this, however, remains unclear. “Feels like a racing condition in the code. I wouldn’t characterize it as an edge case, given this issue paused the mainnet within just a few days of full operation. If so, these are the worst kind of bugs to resolve– because they aren’t detectable in simple unit tests, usually requiring a sophisticated integration test between multiple nodes; even if such integration tests were written they wouldn’t be really effective unless such tests were executed in a realistic testnet configured as in production with similar load levels (server and network) and similar transaction traffic. 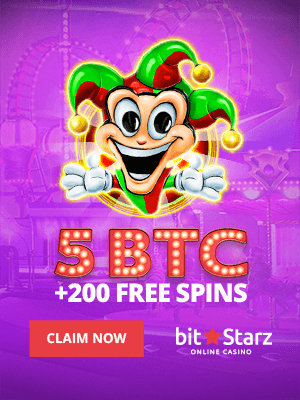 However as stated we do not yet know what exactly caused this pause of the blockchain just around one day after it passed the threshold vote. “As a result of the code review, there are very few code changes in 1.03 and 1.04. The compatibility of the minor version update does not seem to be tested and seems to be a problem. We also frequently use vulnerable functions such as memcpy (). Secure coding guide is not applied. But we do not quite know at this point what caused this “pause” of the blockchain. We’re not sure how they’ll manage that. There are 1,000 blocks unaccounted by seemingly only one Block Producer. 14:38 Looks like this was the issue. A consensus bug was found around 17 hours ago and it is now fixed. “Root cause was due to how deferred transactions were handled. Fix is being released shortly by BlockOne,” Eosys says. 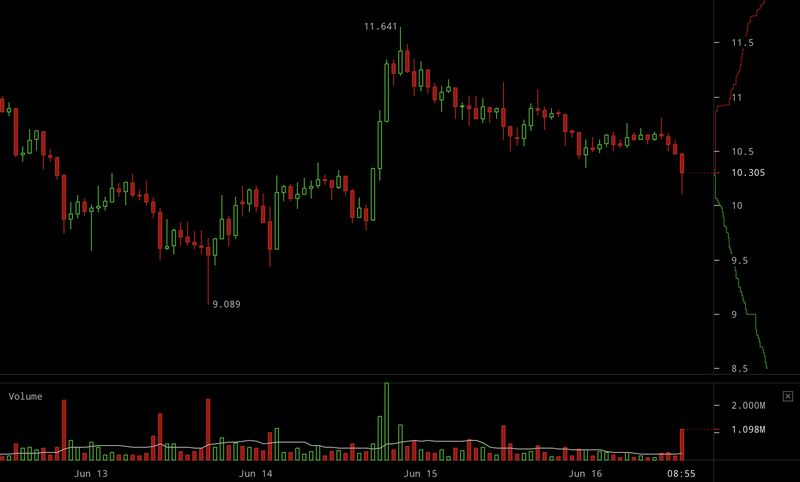 14:51 EOS’s price has not really responded much so far, falling “only” 2%. 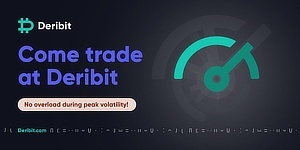 Trading is still open, but the network is inoperational. When exactly it will be back up is unclear at this stage, but hopefully in a few hours. The fix is now merged and supernodes can build, but v 1.05 has not yet been released. Why this took 17 hours to be fixed is unclear at this stage, with the focus understandably being on addressing the very urgent matter of the blockchain being paused. 15:30 Unclear what’s goin on. The network is sort of up but it doesn’t look like it is operating as normal at this stage. 15:34 The chain is now kind of up and running around five hours after it went down. 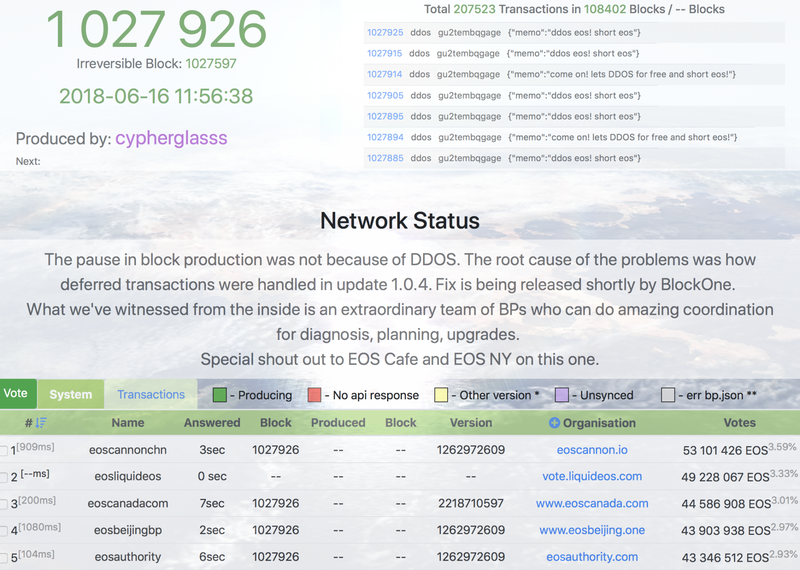 We’d recommend caution in the next few hours and we’d recommend you still do not transact and do not accept transactions until some more time has passed and EOS is running without problems. We might close the live update at this point however as the issue appears to have been resolved now. Coin security and scaling are hard, and just because someone has new jargon to explain their flashy network, doesn’t mean its secure, or worth using.